It’s very common for the teeth to become damaged over the years due to natural wear and tear, decay, and unfortunate accidents, all of which can easily leave a smile looking and feeling far from its best. If you have one or more teeth in need of repair (or replacing), you can rely on Dr. Katherine Whitaker to provide the strong, natural-looking solutions you need. Thanks to her experience and use of the latest technology and materials, she can often make even the most longstanding dental problem seemingly disappear in just one or two easy appointments. 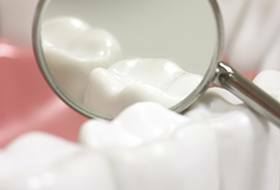 Why Choose Corbin Family Dental Care for Restorative Dentistry? 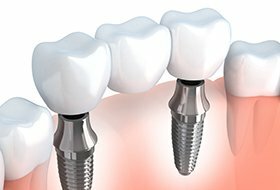 With custom-made crowns and bridges, Dr. Whitaker can repair large cavities, put broken teeth back together, and even fill in the space left by one or more missing teeth. These restorations can be designed to perfectly blend with any smile, both aesthetically and functionally, and with the proper care, they can easily last for decades to come. Traditional fillings are made of a dark metal material that causes them to instantly stick out in the smile. That’s why we now only use composite resin-based tooth-colored fillings, which come in a variety of natural shades that can completely blend into the enamel while effectively repairing any damage. These fillings can be applied in just one quick appointment, and because of the resin’s malleable nature, we can use smaller restorations that help preserve more of a natural tooth’s strength. If you’re missing a few or all of your teeth, then custom-made dentures from Dr. Whitaker can easily give you a reason to smile again. 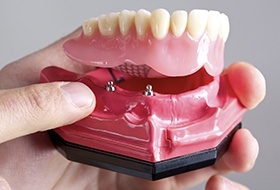 Modern-day dentures are more natural-looking, comfortable, and durable than anything your parents or grandparents might have worn, ensuring that you’ll be able to eat and speak without having to worry about your teeth. And, you can get either a traditional removable denture or even an implant-retained prosthetic to enjoy the most secure and long-lasting fit available today.